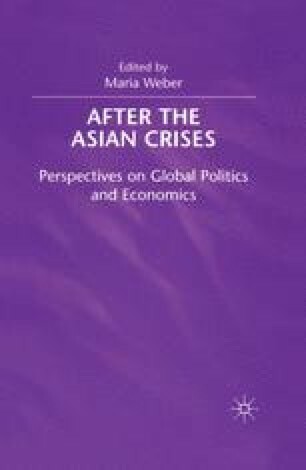 After the Asian Crises: the plural ‘crises’ in the title of this book is particularly appropriate. In fact, the unfolding of the crisis in Asia has exposed a complex mosaic of causes and effects, harking back to many unresolved issues of Asian development. An attempt is made here to untangle the different strands and to highlight those features of the Asian crisis or crises that can be useful in trying to project a future course of economic and social development. In so doing, I try to regroup these issues under three headings of convenience: quantities, qualities, and remedies.